Set apart as a prophet before he was born, Jeremiah was called to proclaim God's righteous judgment to a people that had turned against their Creator. The "weeping prophet" was a faithful witness to the God who keeps his covenant promises, tempering a message of judgment with the promise of mercy. In this commentary, Philip Graham Ryken helps pastors, church leaders, and Bible teachers understand, teach, and apply these prophetic books, showing their ongoing relevance for a Christian's walk with God. 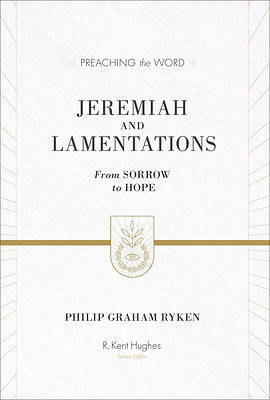 With faithful exposition, Ryken reveals the gospel's promise that even in the midst of God's judgment, mercy and grace will have the final word.